I am flying from Boston to Detroit as I write this, to join the students in the MIT graduate program I help manage—Leaders for Global Operations—on their annual Domestic Plant Trek. 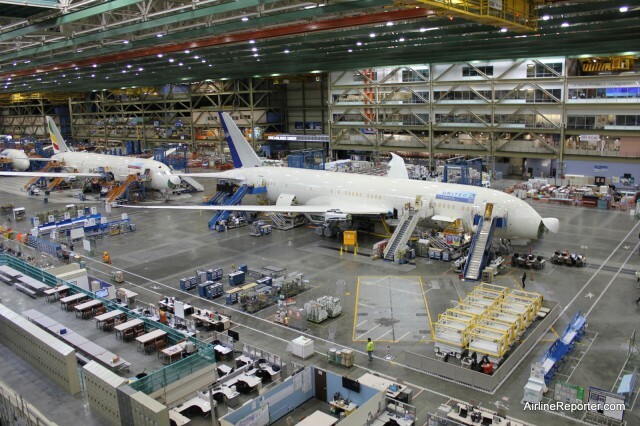 I’ll be part of their visits to GM and Ford auto factories in Michigan, and Boeing 737, 747 and 787 factories in Washington, plus a side trip to the Detroit Auto Show. Our program was founded as the Leaders for Manufacturing program in 1988 and this trip, maybe in particular these stops at massive automotive and aerospace factories that “bend metal” in a big way, is a unique opportunity to connect the students and our partner companies and get a hands-on, candid look into American manufacturing’s current state and future challenges. For me, putting on a hard hat and stepping onto the factory floor represent just one more ironic/unlikely/terrific milestone in my journey along a career path far different than the English professor track I chose out of college. Back then, my father, who got his Bachelor’s in Engineering Physics at NYU in the Bronx and a Master’s at the MIT Sloan School of Management (not an MBA—he did a thesis, dammit! ), said something along the lines of, “one generation goes into engineering and/or management so that the next can become poets.” This sentiment was probably 90% pride in my achievements and justified satisfaction at his own success in being able to open up such unlikely aspirations for his children, with about 5% ribbing thrown in and 5% indirect worry about how I would ever support myself and become a responsible adult. After making a fortunate jump about 12 years ago from the (would-be) professoriate into an academic administration career, I found myself in the occasionally bizarre position of using my literary training to extol the virtues of MIT’s “entrepreneurship ecosystem” and innovations in technical education to international companies and universities. As one benignly crusty MIT lifer pointed out to me, I was the only English PhD in the employ of the MIT School of Engineering, maybe ever. My current job is strictly administrative and has me dealing largely with our program’s current and potential industrial partners. This is a great stretch opportunity for me in pushing my career and “head set” (wonderful corporate-speak for “one’s attitude and mental approach to issues”) even further outside the isolated garret that I had to climb into in order to finish a PhD. And it represents a full circle back to actually working at Sloan that is one big (happy) chuckle for my dad. But there is actually a manufacturing history on both sides of the family. 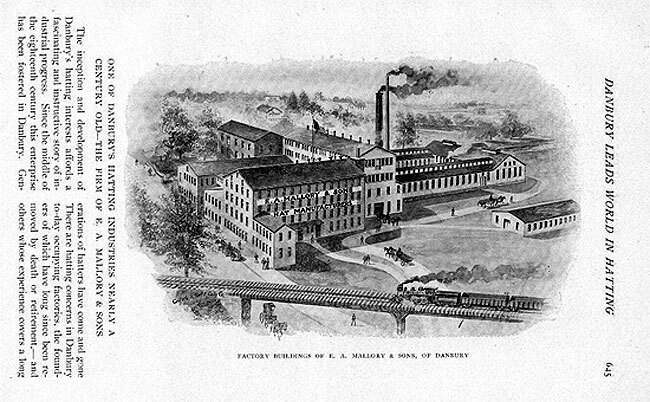 My dad’s father Sam Jacobs was in the rag trade in New York: small-scale manufacturing, until that was killed off by WWII and union pressure on tiny owners, and then wholesale “jobbing.” And my maternal great-grandfather Frank Katz owned a hat factory in Manhattan, that then moved to Hat Capital of the World, Danbury CT. It’s hard to parse just what is most anachronistic about that statement…that hats were once an unthinking part of every adult’s daily outfit, or that factories once filled Manhattan. Hopefully I can build on the gene pool of entrepreneurial strivers in the family and contribute (believe it or not) to American manufacturing and operations leadership for the future. Read this great Atlantic article, on the life of an unskilled auto part worker in South Carolina and the economic consideration that almost year-to-year determines whether she has a job, and you’ll see why this leadership is so important. As of Thursday I’m hoping to be the first person to shake the hands both of the Chairman of Ford Motor Company and of Adrienne Rich. Great blog Josh, a miniature genealogical history of Katz/Jacobs roots, and Josh’s grate pilgrimage out of the garret and closer to the boardroom! So many layers of amazingness. I’m going to try and go online and find out more about Grandpa Frank’s hat company – he was born Ephraim Katz, turned it into Frank when he reached Ellis Island. The company competed with his two brothers’ hat companies, the brothers he brought over from the old country!! Frank Katz’s company was called Style Park Hats, did great in the 20s and 30s and was killed by the abandonment of hats post WW 2.